Booker stops by The Coast Restaurant and gets an invitation to the kitchen. 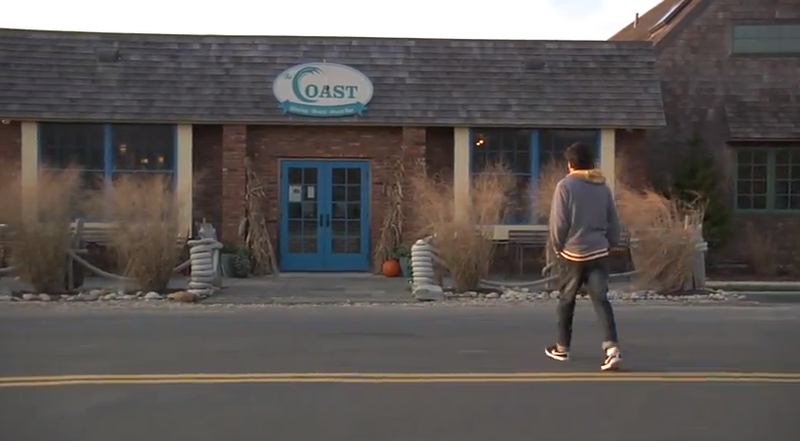 Meet George Anthony Berkhofer, the born and bred Montauk chef at The Coast. Berkhofer’s passion for cooking is inspired by the beautiful waters two minutes away from his restaurant and he makes it his mission to promote seasonal produce and organic food that doesn’t venture far from the land to the plate. Dustin Schick, co-owner of the restaurant calls Booker to the back to show how to break down a tuna. Booker wants to visit a fishing boat, but something else is going on in the evening. And off at night – he learns how to squid fish. Holy Coast – SONG: THE BEACH! THE BEACH!